There is nothing better than these multicoloured planks in solid beech to build creativity. 100 planks of 100 x 20 mm. Building Ideas Booklet included. Made in France. 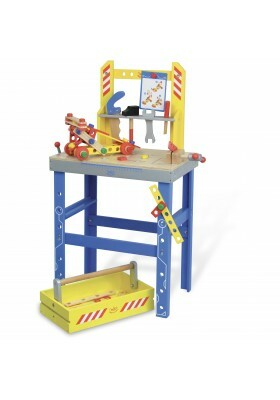 Do-it-yourself just like daddy with this Giant Workbench complete with many accessories, a drawer that turns into a toolbox and five Building Ideas Cards. 87 parts in wood. 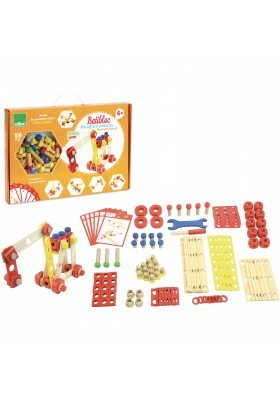 Natural wooden construction set. 200 multicoloured planks in solid beech to build creativity. Building Ideas Booklet included. Made in France. Natural wooden construction set. 100 multicoloured planks in solid beech to build creativity. Building Ideas Booklet included. Made in France. 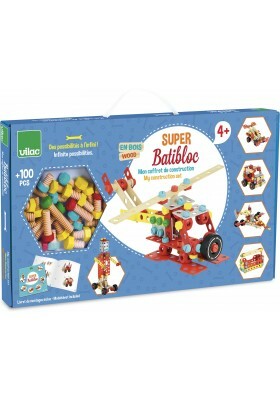 The complete and ideal box for your children to create their first wooden constructions and build their creativity. 106 pieces to assemble. 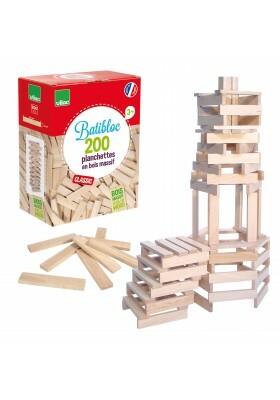 Natural wooden construction set. 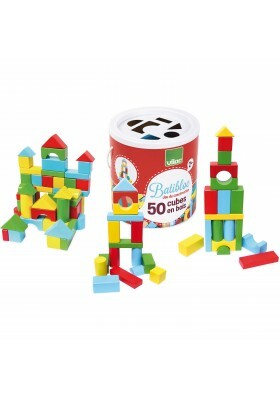 50 multicoloured pieces to make multiple constructions. Easy to store and move around in its large round box in solid cardboard.